One of the main reasons tourists flock to Japan every spring is to take part in a beautiful tradition which the Japanese refer to as “Hanami”, meaning cherry blossom viewing. The various species of “Sakura” (cherry trees) bloom in succession as the warmer spring temperatures arrive in different parts of Japan. The milder the climate, the earlier the blossoms open so you can follow the cherry blossom trail from south to north. With a Japan Rail Pass you can travel across the country while experiencing this amazing natural phenomenon in the same way that the Japanese do - by eating, drinking, and barbecuing underneath the cherry blossoms. 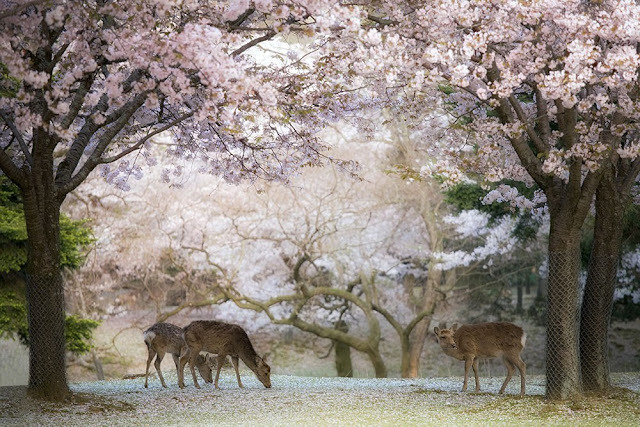 The cherry blossom season begins in late March and usually ends in mid-April but sometimes continues until early May. 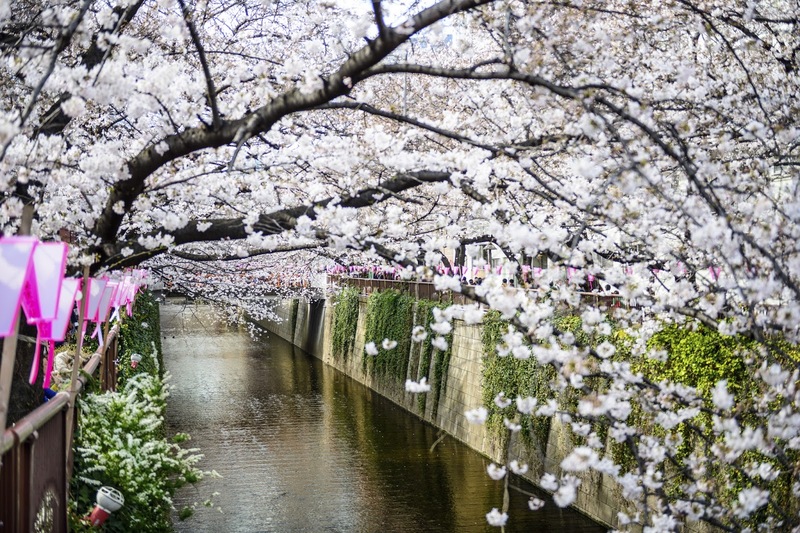 The stunning pink, white and red flowers and Hanami festivals can be witnessed in several major cities including Tokyo, Kyoto, Osaka, Hiroshima, Sapporo and Nara. 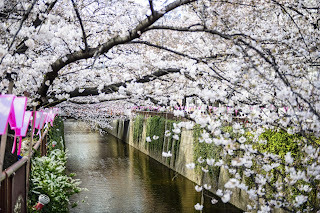 The easiest and most cost-effective way to visit all locations and see the cherry blossoms in all their glory is to travel by rail, and the best way to follow the blossoms by rail is with a Japan Rail pass. The Japan Rail pass is exclusive to those travelling to Japan. You can’t purchase the pass once you arrive in the country. The JR Pass offers unlimited train travel in Japan for 7, 14 or 21 days’ consecutive travel. You can plan your cherry blossom trail by checking the Sakura season dates which are listed on the Japan Weather Association website. One way of translating the page is to use Google Chrome and then either accept the translate option if your browser offers it or add a translator app extension such as Google Translate and then translate the text into English that way. You can also use the English cherry blossom forecast found on Japan Travel Advice. This hilltop public park is one of Tokyo’s most famous Hanami spots. The park is a short walk from Oji Station. This is one of the most popular spots for cherry blossom celebrations. 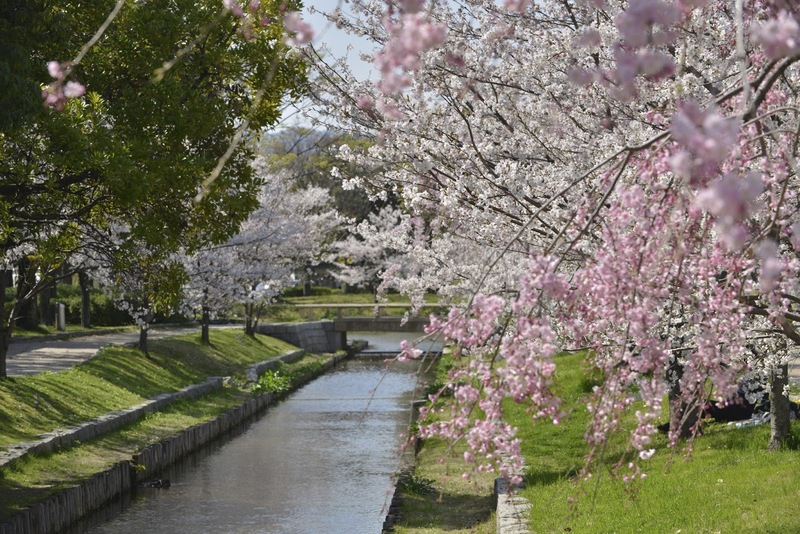 The park boasts over 1,000 cherry trees and is just a few steps from Ueno Station. 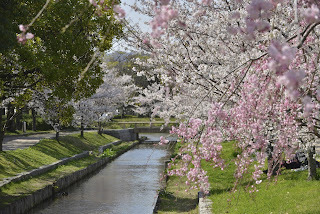 The western castle moat surrounding the park is famous for its beautiful Sakura trees and Hanami parties in springtime. The park is next to Tokyo Imperial Palace East gardens in the centre of the city. You can see many weeping cherry trees close to the garden’s entrance gate in spring. The garden is a 10-15 minute walk from either Myogadani Station or Hakusan Station. This is the most famous Hanami spot in Japan. There are over 30,000 cherry trees around the slopes of the mountain. Todai-ji temple is located in Nara Park which contains a large lawn surrounded by cherry blossom trees. The park is also home to around 500 deer. The whole path is lined with cherry trees which become a spectacular sight when they are in bloom. It is magical at night when the trees are lit up and the crowds have diminished. This is a beautiful section of Gion on the banks of the Shirakawa Canal which becomes very crowded during Hanami season. It is a truly enchanting spot when the trees are flowering. You can use the Gangi Water Taxi service to enjoy the breathtaking blossoms on a lovely riverside cruise. This is one of the most popular places in the city for Hanami festivities with 1,300 cherry trees. 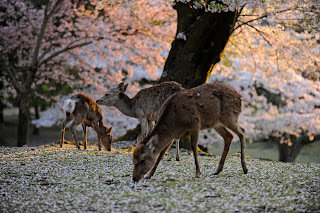 • Nishinomaru Garden, Osaka Castle Park This is an extremely popular Hanami spot located within the castle grounds which contains around 600 cherry trees. This park is on the banks of the Okawa River and incorporates the Osaka Mint building which marks a much-loved cherry blossom viewing spot. You can get your hands on a great-value-for-money Japan Rail Pass (from just $389 AUD for a 7 day, standard class adult pass) by heading to the Rail Plus website to make the most of this spectacular natural event in Japan’s calendar. For Tokyo, I really like Yoyogi Park. It's an obvious one, I know, but it's really relaxed, great people watching, space away from the crowds, and usually some kind of party that you can join (should you be inclined). On the down side, in the really crowded areas it does tend to smell of stale beer! I love Japan! Been there a few times but always missed out the cherry blossom season one reason or another. Thanks for sharing the amazing tips of viewing the sakura and I am sure this post will come to good use in my next trip. Hello! 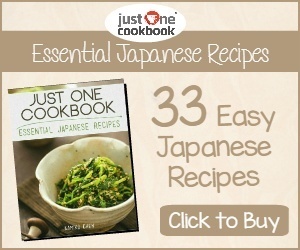 Japan is an amazing country and spring is one of the most popular times to visit Japan. I hope you can experience the beauty of the cherry blossoms one time along with all the delicious sakura food and drinks the season brings with it.